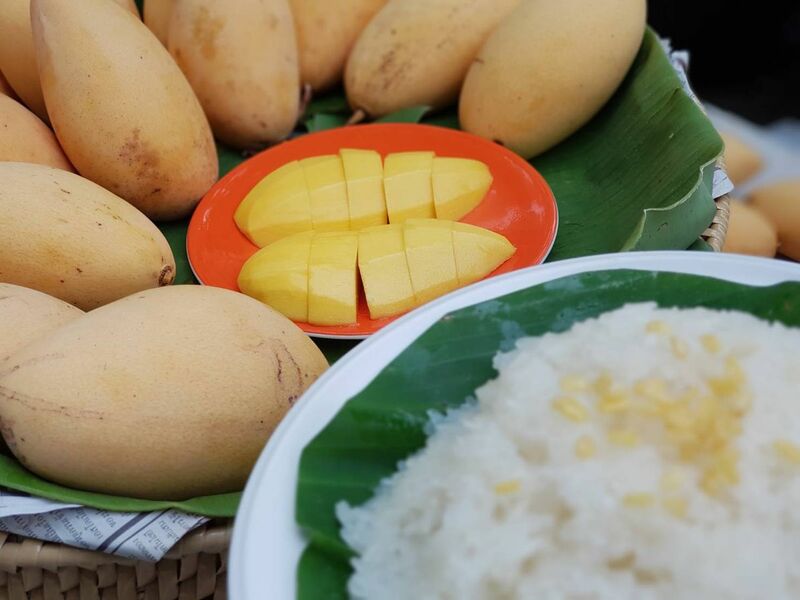 HomeBangkokMango Mania: Learn How to Make Mango Sticky Rice the Right Way! Mango Mania: Learn How to Make Mango Sticky Rice the Right Way! Let's make your first mango sticky rice in coconut milk! We'll start the session with Thai herbal juice in relaxed atmosphere and get to know what we'll be doing. Once everything is set, we'll start learning how to make this much-loved Thai dessert! Arrive at the cooking class location, have a glass of Thai herbal juice, then the class shall begin! Here, you will learn how to make mango sticky rice in coconut milk from the very first step. All of us will be attending each cooking step appropriately. End of the class and get back to BTS Station with Mango Sticky Rice. Hope you'll enjoy the dessert! End of the trip! Have a nice day! To learn how to make Mango Sticky Rice in Coconut Milk from the very first step. All of us will be attending each cooking step appropriately. Everyone will learn know how to peel and chop the mango into a nice shape during the cooking process.